I have known an Aquarian man for a few years through a mutual friend. Our chemistry is off the charts. I really respect him and love to talk to him. Recently, we were all talking and I realized the depth of my feelings for him. I mouthed in a whisper to the mutual friend, “I think I am in love with him.” She smiled and said, “I know.” The mutual friend is a very truthful and terribly insightful Sagittarius that is like a sister to me and to him. He heard what I mouthed to her and turned to me and asked, “What did you just say?” with a very serious face. The Sag said, “You can’t run from this one.” So I told him, “I think I am in love with you.” He then told me, “We need to talk.” And we did. I have never had such an in depth and serious conversation with a man about starting a relationship in my life! I have never really had a serious committed relationship. I have avoided men that would actually be good for me. Since that day we have not talked at all. He called once and I missed the call. I have called him twice and left messages but no return. He is a very successful slightly famous business man and is always very busy. He just left the country today and will be gone for two weeks. He said that we would have to take our time. He told me he would be very busy until the beginning of next year. But that was a month ago. I have been reading about Aquarius detachment and need for freedom. But I have also read about their devotion and truthfulness. If he doesn’t call, was what he said the truth? Surprisingly, I don’t feel like my old clingy self. I just wonder if I can trust the seriousness of our conversation. I don’t want to be a silly Piscean girl. Your Aquarius love interest is probably not lying … but relationship is not really his priority. Most likely, he’s just quite involved in his work life. That being said, Aquarius does want his freedom, and the Piscean urge to merge may scare him off. Aquarius celebrates the individual, whereas Pisces is about the dissolution of the individual. It’s “I am unique” versus “We are all One.” This is not to say that a relationship between an Aquarius and a Pisces cannot work, but it helps to have other planetary aspects between your charts to enhance compatibility. You wrote your question the day after Uranus stationed direct in Pisces. (When a planet stations, it apparently stops its movement in the sky to move in the opposite direction.) The planet of unpredictability and awakening was conjunct your Sun earlier this year, in your Fifth House of Romance. Uranus moved backwards to within a degree of your Sun over the weekend, again stimulating your Fifth House, as well as issues around men, since the Sun rules important males in your life. Your love life is supposed to be unpredictable at this time! 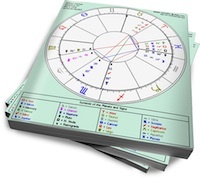 Although Aquarius is not prominent in your natal chart, Uranus rules this independent sign, and when this planet aspects the Sun, it is not uncommon to encounter Aquarian men. Now that Uranus is moving forward again, either something will happen because this electric energy is no longer dormant, or you may just lose interest because Uranus is no longer aspecting your Sun. Your Seventh House of Partnership has Taurus on its cusp, as well as Mars in Taurus. This house signifies the other person. It’s likely that most guys you’re interested in will be slow to act, so you’ll need to be patient, especially since your Venus in Aries wants a relationship now. If you’re really into this Aquarius man, it may be worthwhile to trust his sincerity and wait to see what happens in the New Year. Comment below to provide Pragmatic Pisces feedback, or discuss Aquarius-Pisces compatibility in the forum. Is a Sag woman or an Aquarius woman better for a Pisces man? I to am a Pisces woman. My birthday is Feb, 21. I have no idea what planet falls where and with what. I just know I have this attraction with this aquarius man who’s birthday is feb 5th. We don’t really know each other all that well, except that. He might know a little more by what are mutual friend might be saying to him. Other than that nothing. I was in a 5yr relationship with an aquarius man once and let me tell you… it was the most alive relationship I’ve ever had. There definitely is a connection between a pisces and an aquarius and it wasn’t all sexual very spiritual. ….And contrary to what I’ve seen posted up here about pisces, Im really into stimulating conversations about science, culture and anything else that’s of value. I can talk about anything. I do have to admit, Im a sucka for wanting nothing more than to be around a pesonality like that. Belive it or not we origanally met through a networking website… go figure. Never was the type. He’s shown up at a couple of events I’ve done. Remind you, yes we are both in the arts but he’s a well astablish typical busy aquarius man but, he still made the effort to come to and event about jewelry..
Could it be possible that this AQUARIUS man is interested in this PISCES woman? or am I looking into things to much. I don’t feel I am. I want to know if are signs and by are birthdays are compatible with each other? When we have seen each other, there is a connection without having to talk that Im feeling from him like he wants to be closer to me. seriously thou..am I reading to much into this or what. I cant tell anymore with men on what there really thinking. can someone please give some advice for this hopeless romantic that wants just to appreciated and understood. oh….I forgot to mention, he did spend $105 dollars worth of jewelry. I do not know much about the Pisces/Aqua compatibility, but I was recently involved with a married Aqua man. Yes, married. When we first met, he was very up front about everything, and he told me they were separated. I was leary of the situation, but I went ahead and continued to see him. We went on dates and he was the perfect gentleman. With me and my Cancer ways, I was unable to question any of his actions, and things were good for about the first month. Then, the disappearing acts began. Phone calls from random numbers, you name it, he dished it. He came back into my life three times in the year I’ve known him. In the back of my mind, I knew he was still with his wife, but I just didn’t want to believe it. I wasn’t seeing anyone else and he was merely occupying my time. Eventually, he would come around, telling me how much he “loved” me, how he wanted to “marry” me (yeah right!) and how I meant everything to him. This made me start to fall for him, and before I knew it, I was feeling the same way, or so I thought. To make a long story short, his wife contacted me and now he’s on my sh*t list! Apparently, this is nothing new to her because she was so calm and pleasant with me! The pleasantry went a little to far, however; she felt the need to call me if he even went to the bathroom! I wound up having to have my number changed, to stave both of them off! He went as far as to tell me once that he’d been arrested and that was why he’d been MIA. This particular Aqua was not so much a good liar, but a GREAT manipulator, and if this is the norm for ALL Aqua men, please be careful! I am born on September 12 (a Virgo) but I have no characteristic of a Virgo. But the descriptions of Pieces fit me perfectly, so let’s just say my personality define which sign I am. I am in a relationship with an Aquarius-man. I have always had this theory that we were made for each other, for our lives have so much in common and fate just seems to pull us together, or so I thought. We’ve been together as a couple for half a year now. We started out great, he opened up like I had never seen before. We had great chemistry, similar views and interests so we can talk all day long. I loved him a lot. He was distant at times but I learned to understand and tried to give him space. Everything was ok. Then I had to go away for 9 months. Before I left he turned into a extremely sweet and romantic person, he made me so excessively happy and thankful. But after 2 weeks, things got cold. And I mean cold. He was either so absorbed in his work (he had a very important thing that came up) or just plain oblivious that he didn’t speak to me in 7 WEEKS. I couldn’t bear waiting. I sent 2 or 3 messages asking how he was doing but never got a reply. Then on the 8th week he sent me an email saying how he’s had really important things to take care of, so he isn’t sorry at all that he didn’t talk to me, which pissed me off, obviously. But I couldn’t tell him off, I never could, just ’cause I know it will drive him even further away from me. He kept on being all cold and indifferent. I’ve tried so hard to bear with it and act content but I’m running out of patience. I still love him a whole lot and I wanna be with him but this is getting very frustrating. Sometimes I even doubt my feelings for him, and everybody keeps telling me to find someone else. What should I do? I really don’t want to give him up, but these Aquariuses are just killing me. They’ve always have. always dreamed. Such passion in our spiritual and intellectual connection. We now cannot stop we are complelled to talk and I want to be with him. My virgo spouse isso belittling to me that people often as ask if I am submissive. Is a matter of fact I am not e cept with him. I desperately feel the the picses man who I have known for 3 year is right for me! Onerous this year I have felt the lightening between us we have never touched nor kissed. We have such tender moments even without speaking is ths the right time for us? We both must know! The picses man is friends with my virgo husband andthe circle of friends is tight. Many of our friends have seen the cnne tion between us e en before we started talking. Is the time right to jump? We must know! ok have a quick question .. this woman i adore and havent talked to in over two months has me on my knees begging or her to come back but the silly thing is i jsut recently found out what our moon signs are..
know to let you know yes i did say those three little words that meen the world whiel we were making out one night after drinking and shooting pool. i felt a lil embarassed but thing got better from there till i made a stupid mistake and physically touched her in a way that i didnt think would bother her becasue we had basically been sleeping in the same bed for almost a month. but she got hurt by the fact that i did it and since then things havent been all the great .. up till two months ago when i left town for a job .. she refused to come see me on my last night at work and then shortly there after told me to leave her alone anf that all my calls and txt would be ignored form this point foward.. but what i did is found a job somewhere that she had planned on moving to around the first of april and here it is almost april and shes moving here but still wont tlk to me. Your probably going to have to wait until he retires, but If you wait, you WILL get him. Chances are if you love him, he probably loves you more than you love him! Hes not hiding or being detached, we just dont like having distractions (you are not the distraction, work is) He wants %100 time with you not work, dont get me wrong that doesnt mean he will quit or cut back time on work, he just wants to get his job OVER with to be with you, but because he has extremely important position he might be thinking that if hes always away or gone too much he’ll think “Maybe she might leave me cause Im gone so much”. If its none of the above, he doesnt want you, harsh I know but we either do or we dont, there is no middle. 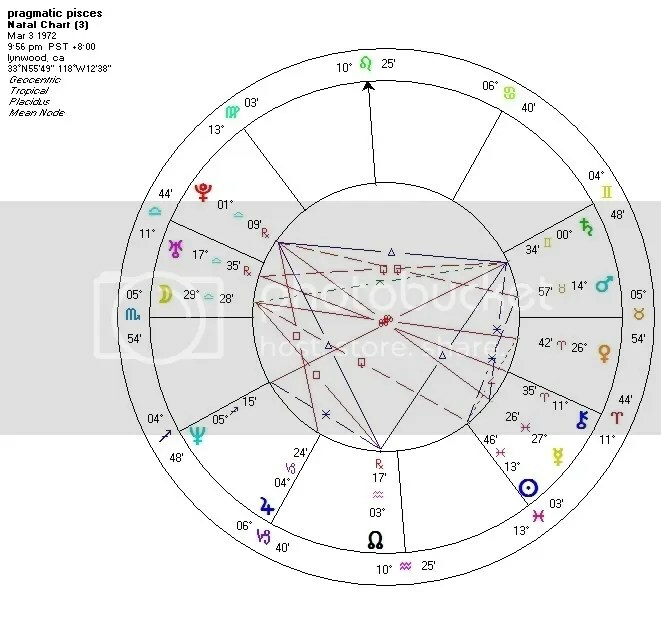 i am 21 years old n i m going to marry a man having star aquarius .he loves me alot …but he is so stubborn n me too .will this relationship run far??????????? I’m a Pisces woman in relationship with an Aquarian men. He proposed me 3 years earlier but I rejected due to some issues. We stopped talking for i think approx. 2years. Last year we got in contact again and were very comfortable while talking. 2 day earlier he wished me ‘happy new year’ and yesterday he proposed me again and said he loves me since we used to talk and chat for hours on fb and I answered yes bcoz i think even i was feeling the same for him. Now we’re in a relationship. Its only two days since we’re in relationship, and he’s acting distant. He’s not picking up my phonecalls, not even answering my text. What should I do… Please help me.